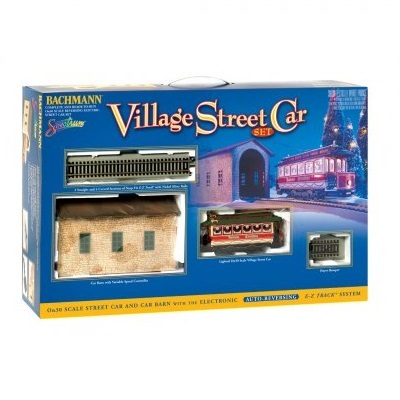 Bachmann's colorful operating street car set is scaled to fit perfectly with ceramic villages placed under the Christmas tree, on the fireplace mantle or in any other display area in your home or office. Beautifully decorated gift box includes red and white 7 inch street car with Seasons Greetings lettering and interior lighting, realistic 9 inch car barn structure, 5 feet of snap-together straight and curved track (use only the amount you need), end-of-track bumper, and a powerpack that automatically reverses the car at each end of the run (you set the speed of the car). Just sit back and relax while your holiday village comes to life! Scale: 1/48. 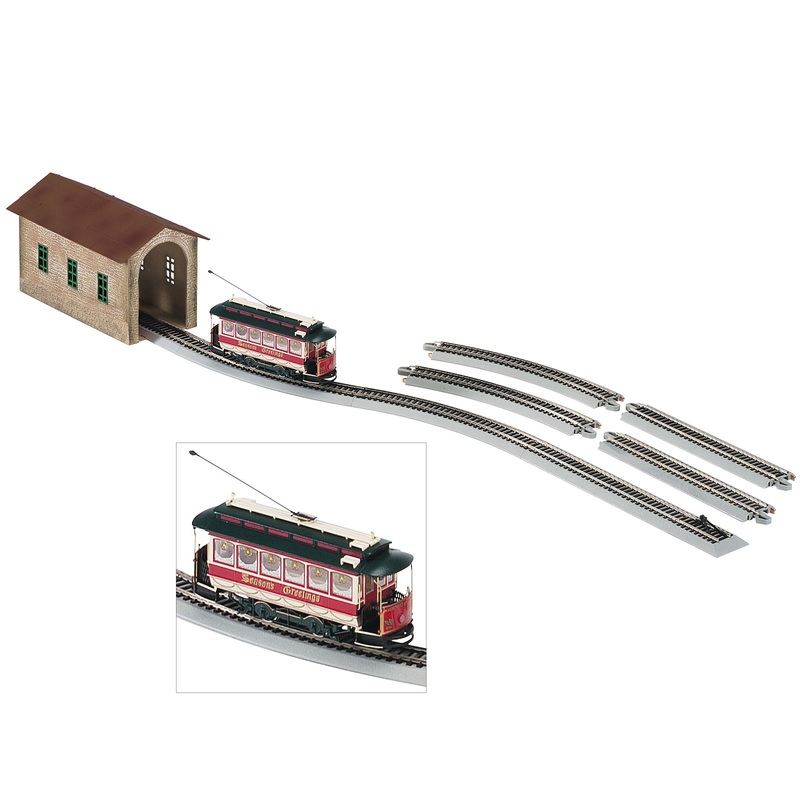 Track gauge: On30 (same as HO). Bachmann no. 25017.